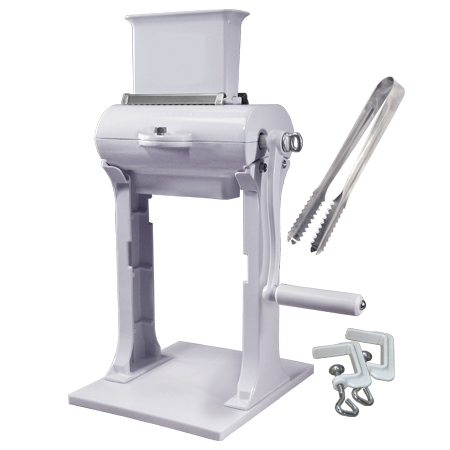 Manual meat tenderizer/ cuber has 31 stainless steel blades to cut into even the toughest meats up to 1- 1/4 inch thick. Stainless steel combs prevent meat from wrapping around the blades. Cast aluminum construction with durable food grade coating. Two piece housing disassembles for easy clean up. Includes stainless steel tongs for safety.